Shortly after the 11 and 12.9-inch iPad Pro models were released, some MacRumors readers began complaining of noticeable bends in their tablets, with some of the bends appearing to be worse than others. The issue received little attention until The Verge published an article on the iPad Pro with word from an Apple spokesperson suggesting that the bending was a side effect of the manufacturing process and not, in fact, a defect. Apple device bending raises major red flags with customers after the "Bendgate" issue that affected the iPhone 6 Plus, with those devices bending due to structural problems that were later solved, so iPad Pro owners were rightly confused and outraged over Apple's response. At the time, Apple's response suggested that customers would not be able to get replacements for some of the seriously bent iPads that had popped up in photos. Apple's VP of hardware engineering Dan Riccio sent out emails to a few concerned iPad Pro owners, and a MacRumors reader shared one of them. Riccio said that the iPad Pro meets or exceeds Apple's quality and precision standards and that its level of flatness would not shift during the lifetime of the product. He also said that the small variations would not affect the function of the device. Riccio's email did not mollify customers, and Apple was silent on the issue for several more weeks until publishing a support document that offered further explanation. Apple says that while the iPad Pro is manufactured to allow for only 400 microns of variation along a single edge of the device, the flat design can make subtle shifts in straightness more apparent. 400 microns is less than the thickness of four sheets of paper, and some of the bends that we've seen have been more severe than this. Customers with iPads that are more bent than Apple describes should contact Apple for help. Bending issues appear to affect 11 and 12.9-inch iPad Pro models, both Wi-Fi only and LTE. Apple has suggested the bending may be more common and more noticeable in the cellular models. Not all 2018 iPad Pro models have noticeable bends. How do I know if my iPad has a bend problem? Bending can be detected by placing an iPad Pro on a flat surface or by holding it up and looking at the side of it. Most of the bends that we've seen have been easily detectable using one of these two methods. The bending that has been described by Apple will be visible right when the iPad Pro comes out of the box because it's due to a manufacturing issue. If your iPad Pro has a severe bend or a bend that appears after a few weeks or months, it is not likely impacted by the bending issue in this guide and may have suffered from damage. What does Apple have to say about the issue? Apple commented on the iPad Pro bending issue through a support document and has confirmed that it can be normal to see slight bends in the new iPad Pro models due to their straighter, flatter edges. Bends can be more visible on the cellular iPad Pro models, which feature small vertical bands or splits in the side of the iPad inserted via a high-temperature process where plastic is injected into precisely milled channels to serve as a cellular antenna. Apple's manufacturing techniques and rigorous inspection process allow for no more than 400 microns of deviation across the length of any side, which is less than the thickness of four sheets of paper. Apple says this is actually a tighter specification than previous-generation iPads, and that the flatness variation is imperceptible during normal use. We've seen iPads that appear to have more severe bends. Apple says that if an iPad Pro does not meet the specifications listed in the support document, that Apple's support staff should be contacted. Is the bend going to get worse? Apple says that the small deviations in the flatness of the iPad Pro are due to the manufacturing process and the bends will not get worse over time or affect the strength of the enclosure. All tablets are going to bend if you try hard enough, though, so the iPad Pro still needs to be treated carefully, especially as it's Apple's thinnest iPad ever at 6.1mm. If you have an iPad Pro model that has a slight bend, it's not going to get worse during the course of normal usage, according to Apple. What do I do if my iPad Pro is bent? If the bend in your iPad Pro appears to be so slight that it's less than four sheets of paper worth of deviation, Apple does not consider it a manufacturing defect and probably wont offer you a replacement. If the bend is more noticeable than that and does not meet Apple's specifications, you can contact Apple support for help or bring it into an Apple retail store. All iPad Pro models feature a one-year included warranty, and for more severe defects, a replacement is a possibility. The standard one-year warranty can be extended with AppleCare+, which needs to be purchased alongside the iPad Pro or within 60 days of when you bought your iPad Pro. AppleCare+ is priced at $129 and offers extended coverage along with accidental damage coverage (deductible required). All iPad Pro purchases can be returned for a full refund within 14 days, so if you purchase a new iPad Pro, it's a good idea to inspect it and then return it to Apple if there is a noticeable bend that's going to bother you. Apple says these bends do not affect performance, but for a device that is priced starting at $799, many customers will want a perfect looking iPad. If you have a bend, it's generally only noticeable when viewing the iPad from the side on a flat surface and it should not interrupt day to day usage. If it does, contact Apple. Is it still worth buying the 2018 iPad Pro? The iPad Pro is a capable, powerful tablet that has a gorgeous display, support for the Apple Pencil 2, and a Smart Keyboard Case, all of which makes it worth considering, even with this bending issue. Not all iPad Pro models are affected, so it is possible to get one where the manufacturing deviation isn't as noticeable so long as you inspect the tablet right after a purchase and make a swap if necessary. Apple says the iPad Pro models that display a slight bend won't worsen over time, but we'll need to wait to see how the iPad Pro ages to see if that's true. We have seen iPad Pro models that seem to have a more serious bend than described by Apple, so it's not clear if the new 2018 iPad Pro models are more prone to bending issues than prior models. As with any expensive device, it's best to treat the 2018 iPad Pro models carefully and take steps to avoid situations that might result in bending, such as carrying it in a backpack without padding or sitting on it. 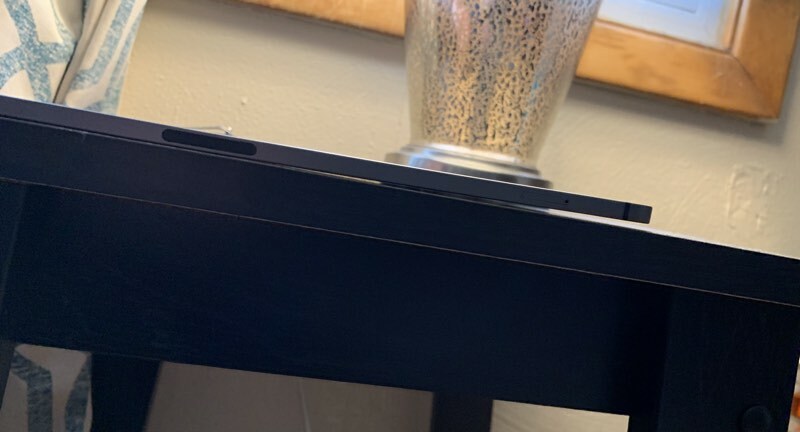 Over on the MacRumors forums, our readers who have run into the bending issue have been sharing their experiences with replacements, Apple support, and more, so that thread is well worth checking out if you've purchased a new iPad Pro model with a bend in it.